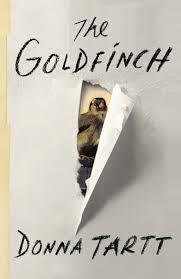 I posted earlier on the brilliant, beautiful novel The Goldfinch. I had to do so in broad swaths, given how dense in character and plot the novel is, just to give you a taste of it. But now I want to go back and drill down on just one passage, to analyze what makes the writing—to me, at least—so marvelous. There are so many paragraphs I could choose, but I was particularly taken with the following description of how Hobie, the furniture restorer who takes in the young, homeless Theo, trains him in the art and craft of fine furniture repair. As you read the passage, make a mental note of how you respond to it, and what you notice in particular (There will be a test . . .). Auction houses all over the city called him, as well as private clients; he restored furniture for Sotheby’s, for Christie’s, for Tepper, for Doyle. After school, amidst the drowsy tick of the tall-case clocks, he taught me the pore and luster of different woods, their colors, the ripple and gloss of tiger maple and the frothed grain of burled walnut, their weights in my hand and even their different scents—”sometimes, when you’re not sure what you have, it’s easiest just to take a sniff”—spicy mahogany, dusty-smelling oak, black cherry with its characteristic tang and the flowery, amber-resin smell of rosewood. Saws and counter-sinks, rasps and rifflers, bent blades and spoon blades, braces and mitre-blocks. I learned about veneers and gilding, what a mortise and tenon was, the difference between ebonized wood and true ebony, between Newport and Connecticut and Philadelphia crest rails, how the blocky design and close-cropped top of one Chippendale bureau rendered it inferior to another bracket-foot of the same vintage with its fluted quarter columns and what he liked to call the “exalted” proportions of the drawer ratio. Okay, Students! How did you respond to this passage? What was the first thing that struck you? Did you like it, dislike it, love it, indifferent, irritated, what? I wish we were sitting around a circle and I could hear your answers, which I’m sure will be much more interesting than mine! And different. You’ll just have to let me know. Meanwhile, I’ll give you my take. The first thing that strikes me is how much Donna Tartt knows about furniture restoration! She’s done her homework, boys and girls. She’s the smartest girl in the class. And it pays off. What authority this passage contains! It absolutely convinces us that the world she’s creating is real, solid, and authentic. We trust that she knows of which she speaks, so we can give ourselves over to the story completely. Surely she researched these esoteric details with someone extraordinarily versed in furniture restoration. Did she takes notes? No doubt. But I’ll wager the best note-taker in the world couldn’t transform mere research into this sterling passage of prose. Beyond authority, what strikes me the most here is how sensitive and skillful she is in terms of language itself: words, the sounds they make, how they join together into sentences that create rhythm and meaning. Most of all, her words awaken our senses. Here, words give us the deep pleasure that only our senses can provide. It’s quite a paradox. Most of the time in our so-called real lives, our senses are on pause, slumbering, acclimated to the quotidian. But when we read a passage like this, loaded with extraordinarily precise, sensory detail, our senses wake up and really pay attention, pulling our whole mind into the act. As soon as I read the word “tick,” I hear a tick. It’s such an onomatopoetic word. ” . . . Amidst the drowsy tick of the tall-case clocks.” I like the way the two “ts” sound tick-tocky, and those “tall-case clocks”: Don’t tall, thin grandfather clocks come instantly to mind as you begin to picture the repair shop? This line about the clocks is a great example of “strong specification”— the opposite of Henry James’s “weak specification,” in which the eye glides over the words while the mind nods off—because the writer isn’t giving us concrete, specific, sensory detail—the foundation of good writing. An example of weak specification would be “amidst the sound of ticking clocks.” No distinct “tick” sounding in your ear and only a vague picture created in your mind’s eye.
. . . he taught me the pore and luster of different woods, their colors, the ripple and gloss of tiger maple and the frothed grain of burled walnut, their weights in my hand and even their different scents—”sometimes, when you’re not sure what you have, it’s easiest just to take a sniff”—spicy mahogany, dusty-smelling oak, black cherry with its characteristic tang and the flowery, amber-resin smell of rosewood. To me this is a delicious passage of prose! I love the juxtaposition of the words “pore,” so staccato, and “luster,” so luxuriously drawn-out, conjuring up a beautiful sheen. Who can resist the “ripple and gloss of tiger maple” and “the frothed grain of burled walnut?” You want to run your fingers over them. She even fires our tactile sense with “their weights in my hand.” And doesn’t your nose just perk up at those wood smells: “spicy mahogany, dusty-smelling oak, black cherry with its characteristic tang and the flowery, amber-resin smell of rosewood.” Wonderful. I study this passage to learn from it. I’m always my first, best student. Analyzing it won’t make me write like Donna Tartt (I wish). And it’s not always necessary or desirable to write this kind of lush, dense description. But there are things to learn from here. Most of all, it reminds me to try harder in my own writing. Her deepest satisfaction is shaping a sentence – the right word, the seemly metaphor. She can happily move a comma around “for hours”. Hearing about her process actually gives me hope. It takes her a long time (Goldfinch took ten years to write). She loves shaping a sentence. She produces a final product over many drafts. See, fellow writers? A book doesn’t spring from someone’s head like Athena sprang from the head of Zeus, fully formed! There’s hope for us. Now, what are your thoughts and reactions to the passage I quoted from The Goldfinch?